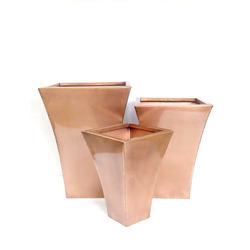 We are a leading Manufacturer of metal urns, metal patio urn, copper planter set, garden modern planter, metal planter and antique planter set from Moradabad, India. We are involved in offering a massive range of Metal Urns, which is manufactured in accordance with the latest market trends. 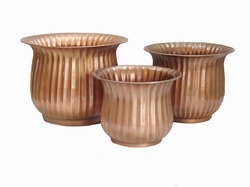 Owing to their alluring designs, these have been a preferred choice of our clients. 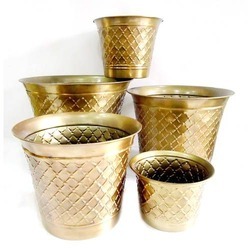 Highly regarded for their fine finish and unique designs, the entire range of the metal urns offered by us has garnered immense appreciations among the client-base we have. 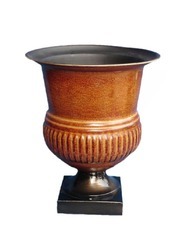 We are leading manufacturer and exporter of superior quality Metal Patio Urn. 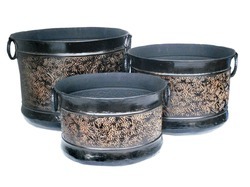 We are counted as the reputed manufacturer and exporter of high quality Garden Tree Planter that is manufactured using the optimum metals and alloys. 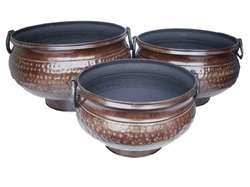 This offered product is widely demanded for its alluring design and durability. To cater to the varied demands and requirements of our revered clients, we make the whole range of tree planters offered in various sizes and designs. We are the established manufacturer and exporter of a supreme quality Metal Garden Urn that is known for its exquisite design. It is widely considered for its fine finish. 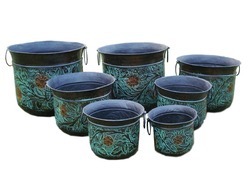 Durable in its features, this offered metal garden urn is highly popular in the market. 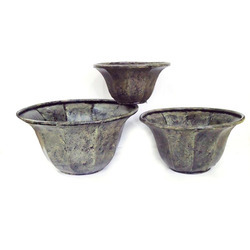 Made using high-grade metals sourced from the prudent vendors, we guarantee an optimum range of metal garden urns for our clients. 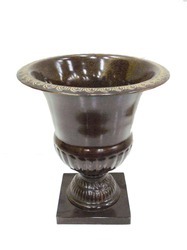 We are a highly acclaimed name to offer a qualitative assortment of high quality Garden Traditional Urns. 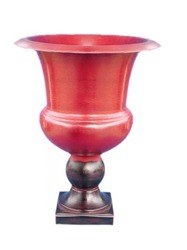 These offered urns are known for their perfect finish. 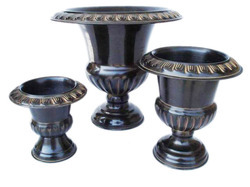 Attributing to their long lasting sheen and exquisite designs, the whole range of the traditional urns offered by us is widely considered among our customer base spread across the nation. 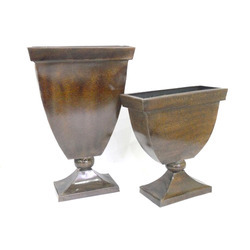 These urns are further known for their premium quality.